Even after the war [of 1870] a farm in the Beauce country resembled a farm of the Gallo-Roman age infinitely more than this same farm resembles itself today. Or rather, this farm was like its Gallo-Roman self, as far as customs, regulations, seriousness, gravity, in structure itself, in institution and in dignity. And even, at bottom, it was close to a farm of the time of Xenophon. Over about the last hundred and fifty years western society has, for various reasons and in various ways, turned away from the household, which is now almost a lost reality—even while the census and common usage perpetuate the impression that we live in ‘households.’ We do not really know what we are missing, which is the more remarkable the more keenly we feel its absence. From time immemorial in almost every society up until the Industrial Revolution the majority of human life was lived within or in close proximity to the household. And while physical proximity was essential, it was not the defining characteristic of the household community. Household members engaged in common actions in a common project of making a life together, daily. The significance of this point cannot be overemphasized, and yet we seem to live in utter incomprehension of it. From a purely historical perspective one should wonder: how can people today not feel disconnected and isolated at a root level? We do not think of the household as something that has a rich natural structure, and that also needs to be shaped through our intentional efforts. We do not even really think of our homes as a place to live, a place to enact at the deepest level who we are and who we want to be, on a daily basis. There is a basic household structure that is ancient both in notion and in practice. We might refer to this household community as perennial, as its structure is rooted in human nature itself. That the household community finds its proximate originative principle in a permanent commitment between a man and a woman, called marriage, I will take for granted. My interest here is certain features of that broader community, a community which can be distinguished from the family. When Aristotle says that the household is a community ordered by nature for the satisfaction of every-day needs, it would not do to substitute the word family for household. We would say for instance that certain possessions, such as clothing and rudimentary tools, are part of the household, while they are not part of the family. Our difficulty in conceptualizing the distinction between family and household surely stems from the diminution and demise of the household in the richer, older sense. Just what goes on in a household according to the older notion? One angle from which to address this question is a basic duality deep in the heart of the household, a duality that can be captured by the words ‘home’ and ‘workshop.’ A household is first of all a home: it is a place of stability and rest. We see this in the simple power of the words “You are at home,” words that can be used in number of contexts. Home is my place; even more it is our place. It is where I, and we, belong. It is where we can be ourselves, and do our thing. There is no tension toward the future, but rather the peace and tranquility of being-in the present. No greater compliment can one give a host than to say “I feel at home here.” Likewise, a serious condemnation of a place or context—say of someplace that a person has lived for some time—is contained in the contrary description of a place where one does not feel at home. That a household should be a ‘home’ is deeply intuitive. Here is the primordial human place of belonging, which speaks to the deepest of human needs. The word ‘workshop’ conveys something different. A workshop, as a place of work, necessarily involves a tension toward the future, the not-yet. A workshop exists for the sake of bringing about something that does not yet exist, through steady, intentional labor. While we might speak of someone being ‘at home’ in a workshop, these two terms nonetheless capture fundamentally distinct and somewhat opposed, though not contradictory, aspects of a household. It seems to me that the integration of these two aspects is at the heart of a right understanding and practice of household life. If a household is a workshop just what is its proper work? There are two works written into the very fiber of the household: the formation of persons, and this especially as regards the raising and formation of children, and the ‘work’ in the more common sense of the production of wealth. In both of these ways a household has a tension toward something to be achieved every day: youth should be formed, and the material needs of people be provided. Both of these are a matter of art—in the sense of a developed know-how—that is practiced and passed on from generation to generation, and they both require relentless attention and the deepest energies of the persons involved. In these two areas is the answer to the question: what most of all does a household do? In the traditional household these two ‘works’ were deeply intertwined. The work of producing wealth was not only a responsibility of members of the household—as it often remains in contemporary practice—but it was also a work primarily in and of the household. As such, the daily work of wealth-production provided the first context for living the personal relationships of the household, and for the formation of young people. When Ischomachus’ wife in Xenophon’s Oeconomicus relates that the main lesson her mother taught her was to be “responsible,” there is little doubt as to the main daily school of that lesson. In and through the work of wealth-production young people were formed, in the presence of their parents, in the most basic human and moral dispositions. The formation of the young of course was not restricted to the work context. Work (and here I mean work in the sense of all those activities that provide for the material needs of human life) is not the highest of human activities. But given human nature and the human condition, work will be the primary daily occupation of the majority of human persons, and as such it will have a kind of practical primacy—especially in a household—as the context for human life. Historically, the household was the central daily locus of human life especially because it was the central locus of work, and concomitantly of child-formation. The contemporary household, in a change the significance of which has not yet been reckoned, is no longer the central place of the work of wealth production. A household can, at least in some sense, be said to perform the task of wealth-production, even if that production is by means of work that is remote from the household. This is of course the dominant model today, where for most people the connection between their ‘work’ and their household is simply a connection of intention. In other words, they earn a salary working outside the home, for the sake of using that money at home. In a striking parallel, for several generations now there has been a growing separation of rearing of children from the household. Of course child rearing, and especially the more academic aspect of it, has traditionally included some degree of involvement by church, state, and other social entities. Even so it seems beyond question that a significant feature of the contemporary household has been the reduction of in-home formation (through external child care, schooling, health care, training for work…), just as surely as there has been a reduction of in-home work of wealth-production. 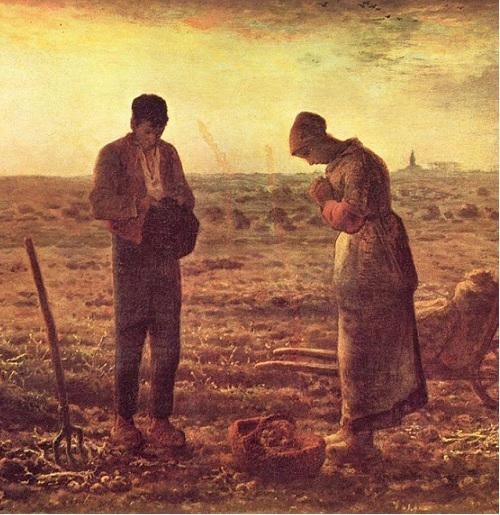 But these two characteristics of the contemporary household, which sociologist Christopher Lasch referred to as the socialization of production and the socialization of reproduction, move us to ask a hard question about the nature of the household: at what point does a household cease to function as a household? Or put otherwise, just what is required in order to fulfill the true role of a household? We noted that parents can, and often do, fulfill the responsibility for the material welfare of the household through work that in its immediate object and execution is unconnected to the household, though connected by intention. In a similar way parents might be said to fulfill the responsibility for child-formation through over-seeing a formation done by agents exterior to the household. My intention in this short essay is to suggest the urgent importance of a re-evaluation of our notion and practice of household, in view of the ancient notion and practice. This is not a matter of trying to ‘go back,’ of a return to ‘good old days.’ Rather, guided by a thoughtful understanding of the past, a sober and prudent deliberation based on first principles is in order. Perhaps, for example, we might consider how meaningful, productive work can be re-introduced to the household, even while work exterior to the home provides income. The reality of chores—often today reduced to mere cleaning—might be transformed by some version of the older home arts. This will require much thought and change of habit if there are to be more than simply cosmetic changes. I have pointed to a duality in the household between ‘home’ and ‘workshop.’ I have likewise pointed to a traditional connection between the two fundamental ‘works’ of child-rearing and wealth-production as largely in-home projects. In view of the contemporary crisis of the family, we should reasonably ask how and even whether the work of child-rearing can reasonably be done apart from a robust home life. And what, if anything, can constitute a robust home life in the absence of the real work of producing the material needs of human life. Finally, we will want to consider the deep connection between being a ‘home’ and being a ‘workshop.’ Can spouses/parents and children really experience home as a place of profound belonging and rest, if it is not likewise a place of the very works that most characterize daily human existence? If, as Josef Pieper and others have suggested, true leisure and good work are mutually dependent, we might gain insight into the problem of home as ‘entertainment center’ versus place of shared rich activities. The household has been at sea in uncharted waters for several generations. A frank examination of the results of this experiment in light of the traditional household, and in light of human nature, can be a significant first step in discerning a more healthy way forward about how to live a truly human life in households today. John Cuddeback is a husband, father, and professor of philosophy at Christendom College. His book True Friendship: Where Virtue Becomes Happiness was republished in 2010. He is currently working on a book on reclaiming the household, on which he also writes at his website BaconFromAcorns.com. Keep Reading! The next article in this issue is, Back to the Garden: Wilhelm Röpke's Vision of a Humane Economy by Allan Carlson.